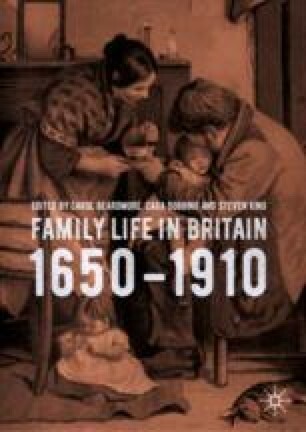 Kim Price examines the professional family, who arose out of a more amorphous ‘middling sort’ between the mid-eighteenth and mid-nineteenth centuries; a group which has received relatively little attention. Price seeks to investigate the nature of relations in the nineteenth-century professional family and does so through the analysis of death in a family and the impact the loss of different familial protagonists had on the surviving members of the close kinship group. The death of the breadwinner, especially one in the early years of a career, could be catastrophic altering the structure and meaning of established family groups and might be an important causatory factor of momentous change. By welding together genealogical methods, case study, prosopography and qualitative data analysis Price suggests that the structural transformations occasioned by deaths were varied and often widely anticipated, including remarriage for adults, adoption for bereaved children and formative impact of personal loss on future family and career choices.